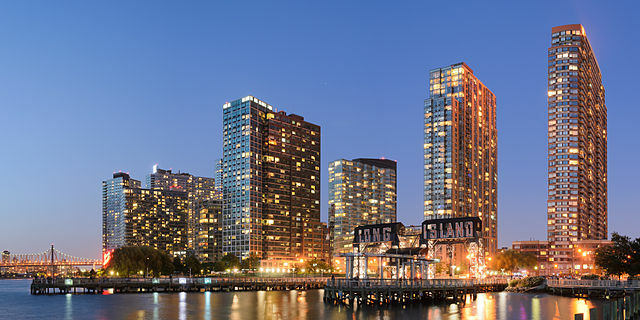 Amazon’s announcement that it will locate one of its two new “headquarters” in Long Island City, Queens triggered immediate backlash among some elected officials and residents of the community who fear the effects it will have on local housing prices and already strained infrastructure, among other consequences. But the residents of CityLights, the largest affordable co-op in Queens, are particularly incensed by the deal, and are calling out city and state officials for giving the nearly trillion-dollar technology giant billions in public subsidies while continuing to deny their own demand for an extension of a property tax abatement that they enjoyed for two decades. Amazon, CityLights residents also say, will pay far less for leasing land for its new campus than the co-op does each year. Built on state-owned land, CityLights’ ground lease alone costs nearly $500,000 annually for the 700,000-square-foot building. By comparison, Amazon is expected to pay about $850,000 for the roughly 4 million square feet that the company will occupy in Long Island City. In a phone interview, Rock said it was “shameful” that CityLights residents have had to fight the city and the state for over a year-and-a-half for much-needed relief while Amazon was enticed with untold incentives (the negotiation process was in secret, with non-disclosure agreements signed). In a letter to CityLights residents in June, Zemsky indicated that ESD was working with the city “to craft a tailored solution.” But, he noted that the state could not act without approval from the city’s Department of Finance. Neither ESD nor the city Department of Finance responded to requests for comment for this article. “I’m not even sure how to put into words how upsetting this is,” Rock said. Note - This article has been updated to note that CityLights' tax bill was $5.1 million, not $5.2 million.